Let’s just say you and I are walking in a forest in Cameroon, a smallish country in Central Africa that’s roughly the size of California. 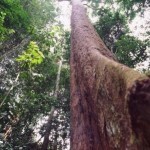 Walking in the forest of Cameroon is no ordinary experience. It’s home to several endangered primates, and a mind-blowing number of tropical birds. The air here is thick and humid because it rains some 400 inches per year. The trees here tower 100 feet or more into the air. One such tree is the bubinga. You and I are woodworkers, so naturally we’re looking at some of these trees and wondering what they look like on the inside; wondering what fantastic things the wood can make. The bubinga tree can be up to 8 feet in diameter. Can you imagine that? 8 feet roundish and 100 feet long. A tree that big weighs not one, not two, not 10, but over 56 tons. You’re not just going to fell one with the 56 cc Stihl you have in your pickup truck back home. Nice contrast, don’t you think? Bubinga makes a good accent wood because it can take shape and fine details without any fuss. 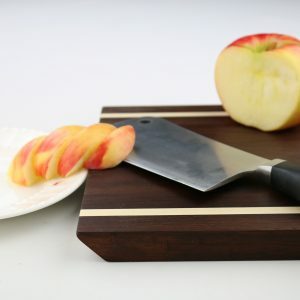 Pair it up with a lighter colored wood, and you get a surprising result. In addition to small parts, bubinga is well suited for furniture pieces. It’s hard, stable, and extremely durable. 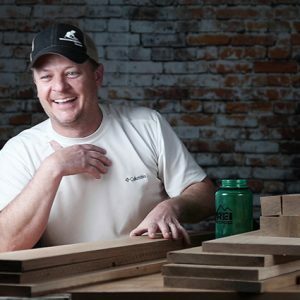 Since the wood takes a finish so easily, furniture makers like it. As always, an elegant design and a contrasting wood makes a bubinga project a real head-turner. Remember what I said about the size of the bubinga tree? Big trees often mean big boards. And because bubinga is a rock solidly stable wood, big boards mean big projects. A clear bartop finish is all this needs to look incredible. I’d sure like the opportunity to belly up to this bar at the end of the day. I love hand made wood music stands. It’s art supporting art. 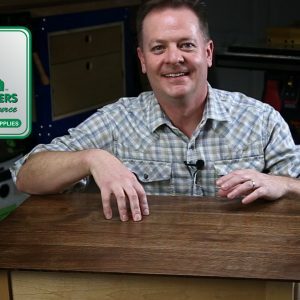 Brian here says he used a tung oil and a hand applied polyurethane, which is a great combo. The oil sinks in and visually pushes the figure outward while the poly gives the entire piece protection. Notice how the dark inlay reflects a staff of music? Once again, a figured maple and bubinga contrast. This time with birds eye maple. He too used an applied oil (this time boiled linseed oil) and a varnish topcoat for surface protection. Just spend a minute or two gazing at this project. 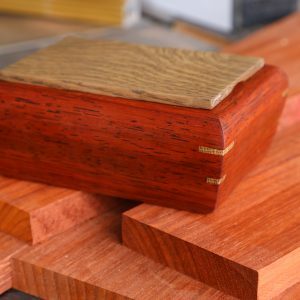 Bubinga excels when it comes to making small parts with detail. And you can still make out the rosewood-esque grain pattern in the bench sides. You’re going to want to click over and see the details on this one. 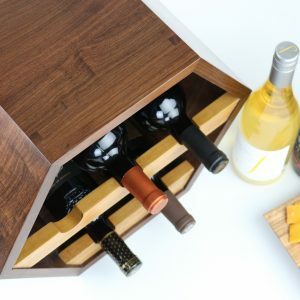 Just the curved drawer fronts are made of bubinga, and they’re joined to the maple sides with half-blind dovetails. 8. But Wait! There’s More!